You've been injured in a car accident on a Utah roadway and want to get the most money possible for your case. As a Utah personal injury attorney, I've compiled a short list of things you need to do to get the best results possible for your situation. Of course, this isn't a complete list, and you should always contact a lawyer in your area to get specific advice for your unique case. 1. Do the the right things at the scene of the accident. First, stop your vehicle and pull off the road, if possible. If there are injuries call "911" and get appropriate medical attention to everyone in need as soon as possible. If someone is injured, you must try to obtain help. If the police are not already involved, they must be contacted for accidents involving injury, death, or property damage in excess of $1,500. The police will also help create a Utah accident report, a DI-9. This can be an important document in your case as it can help establish fault and identifies the other parties involved. After everyone is stabilized, you should exchange information with the other drivers. Not only is exchanging information the smart thing to do, Utah law requires it. Make sure you get complete names, addresses, insurance policy information, vehicle registration number, and license plate numbers. If a law enforcement officer is involved, you can provide the required information directly to the officer instead of sharing it with the others involved in the accident. If you are injured and not able to complete these tasks, you can postpone them until you are able to do so. 2. See appropriate health care providers and follow their advice. If you are injured make sure you see a doctor as soon as possible. Don't wait and hope that you feel better. Sometimes, due to shock, people are unaware of their injuries until hours or days later. If you wait too long for treatment, the at-fault driver's insurance company may try to use that against you. Make sure you tell your physicians about all of your injuries. Don't exaggerate, but don't downplay or minimize your injuries. It's important for your case that your doctor understands and documents all of your injuries and how they are related to your accident. It is also important to follow the advice of your health care providers. For example, if they refer you for 8 weeks of physical therapy, do it. Make sure you follow-up with any specialist referrals or other instructions. If you are uncomfortable with the advice you are getting from a particular doctor, feel free to seek a second opinion. Insurance companies and their lawyers will sometimes try to punish you for failing to follow medical advice, so don't give them that weapon. 3. Find the right lawyer for your case and follow his or her advice. It may seem like common sense, but not all Utah personal injury attorneys are the same. We have varying degrees of experience, skill, time, and commitment to each case. It's important that you find the right lawyer for your case. The right attorney for your case cares about your situation, understands it, and has the legal skills and knowledge to give you the best possible chance of a good outcome. Don't limit yourself to lawyers who advertise on television and billboards. Find a Utah lawyer you trust and can communicate well with. Make sure they have the proper education and experience to handle your case. You should contact a Utah attorney who specializes in personal injury cases as soon as you can after your accident. They can help guide you through the critical first stages of your case. 4. Help document your injuries and damages. Your attorney can help you do this, but generally you want to document any injuries or damages you have suffered. Take photographs of your damaged vehicle and any physical injuries you have suffered. You can retake these as you heal to show the changes. Document your lost wages with pay-stubs, taxes, or letters from the HR or payroll department of your employer. As discussed above, help your doctor understand all of your injuries and physical limitations. This documentation is critical to your case. 5. Understand the strengths and weaknesses of your case, so you can make a smart decision about how to proceed. Every case is different and they all have unique strengths and weaknesses. Generally, very few cases are cut-and-dry. For example, even if the "fault" part of your case is clear, there may be disagreements about the extent of your injuries, what caused them, and what type of treatment you will need in the future. It can be helpful for you to try to understand some of the legal issues and the strengths and weaknesses of your case. Your attorney should explain these issues to you so you can make an informed decision about how to proceed with your case. 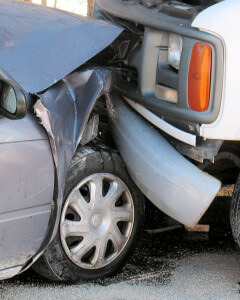 So there it is, a Utah car accident lawyer's tips on how to maximize your case. Remember, this list isn't exhaustive and should not be used as a substitute for legal advice. If you, or a loved one, have been injured in Utah in a car, truck, bicycle, or pedestrian accident, feel free to contact The Faerber Law Firm, PC for a free consultation.